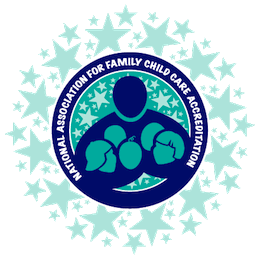 The Wisconsin Family Child Care Association Accreditation Project is designed to provide training, technical assistance and education to family child care providers to help them achieve NAFCC Accreditation and raise quality of care for the children they serve and the professionalism of their business practices. In 2016 WFCCA was awarded a contract with the Department of Children and Families, through the Race To The Top Fund Grant, of $10,000 to support the project. WFCCA will be hosting NAFCC Accreditation trainings throughout the year to educate providers about the process. In addition, WFCCA Regional Representatives are available to meet with your support group to share an overview of the process and the supports available through the WFCCA Accreditation Project. In addition, regional representatives may be available to present a short overview at other scheduled trainings in your area. Family Child Care Accreditation Scholarships Now Available! WFCCA Scholarships are available to help cover the fees included in accreditation as well as peer-mentors to help you through the process!